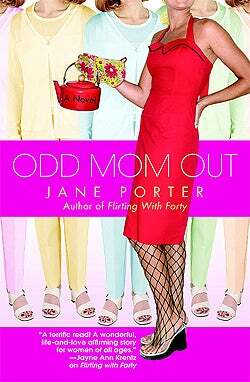 Adventures In "Mommy Lit": Is Marta Zinsser The New Bridget Jones? There's a book roundup in USA Today of "Mommy Lit", a term that refers to fictional tomes with titles like Odd Mom Out and Manless In Montclair. The characters and situations are partly whimsical, partly relatable: "Marta Zinsser is a single mom who does things her own way," readsOdd Mom Out; "Motherhood seems to trigger a biological urge to judge other females" reads The Other Mother. In Manless, the protagonist "launched a public manhunt after one of her two daughters asked for a new dad." The problem here is the same problem with "chick lit". Just cuz you're chick who likes lit doesn't mean you're gonna like chick lit. And if you've given birth and like to read, does that mean you want to read about fictional moms and their wacky, plucky adventures? Maybe it's to be expected after the bestseller I Don't Know How She Does It sold millions of copies worldwide. But is there something demeaning about being marketed to this way? Like, hey, you, with the womb: Got something for ya! You're gonna love it! On the other hand, is it refreshing to see that, since women buy 70 to 80% of fiction, they're being recognized? But do moms want to read about other moms? Or would they rather escape into a story about someone whose life is completely different from their own?